Did you ever have a toddler? Or a teenager, for that matter? You know what their favorite word is? No. -Time for a bath, sweetie! – NO! -Eat your vegetables, darling daughter! – NO! When is the last time YOU said no? -Mom, can so and so come over? – Ummm, ok, let me just clean your room for you so I don’t die of embarrassment. -Can you work extra hours this week to finish this project? – Of course, boss, I’d be happy to even though I’m already over worked and under paid. I’m right on top of that! -Mrs. So and So we need sugar cookies for the bake sale. Would you mind? – I LOVE to bake, consider it done! I’m not that woman. No is still one of my favorite words. I’ve grown to love it again after a period of estrangement in my twenties and thirties. I have a lot respect for the word no and I think everyone else should, too. I heard a young reporter on the radio today talking about how her twitter had been wrongfully impersonated to make her look like a white supremicist. She was horrified by this, rightfully. The radio host asked if she was satisfied with Twitter’s response to her requests to have the issue rectified. She said NO! (good girl! ), but, as soon as she said no, she nervously giggled. This is a professional young woman. A reporter. Educated, I’m sure well respected by her peers. So, what’s with the giggle? Was it funny that she didn’t feel satisfied with Twitter’s response? No, it wasn’t funny. Maybe she laughed at the absurdity of the situation, maybe, but it didn’t ring true. I think she laughed because she was nervous about saying no. I think saying No, made her so uncomfortable that she had to cushion it with a laugh. So, today, ladies, we’re going to learn about the Magic of saying no. Ready? Saying “No” is really about setting a boundary. It doesn’t have to a be a reflection on the way you feel about the person who is requesting something of you. 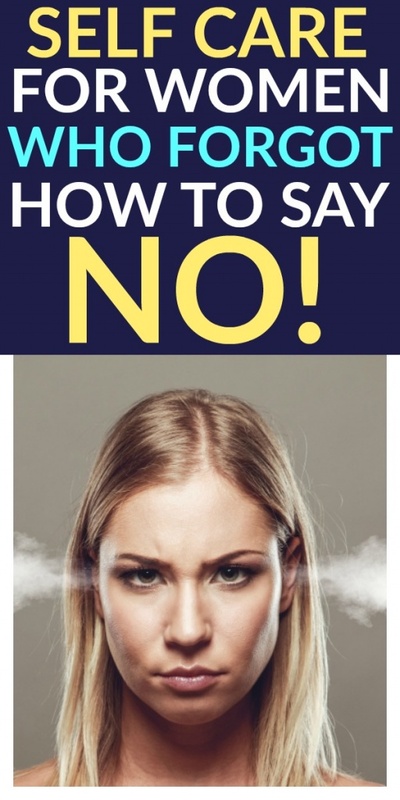 Generally, when you need to say no, it’s because you don’t have enough time, money or, frankly, interest in what the other person is requesting of you. Not having enough time is the easiest one of these to tackle. It’s the old, “I’m sorry, I can’t, I have to wash my hair” line. I’m pretty sure that was used in every 80’s sitcom I ever watched. We all know this one by heart, ladies, we can do this. And we don’t even have to make up an excuse or be sorry! If you don’t have the time to do something, you simply say, I can’t commit to that, I’m swamped over the next few days. Give me a heads up on the next thing and I’ll be happy to! And if you happen to not actually be swamped, I have an idea for you. Start scheduling time for yourself. Or for your kids. Or maybe your husband? And I don’t mean put it in your day planner and make some elaborate plan. I mean, just include it in your general schedule. So, hockey game, piano lessons, lunch, chill out with the kids at home, laundry, dinner, indoor movie date with husband. See? You don’t have a spare moment on Saturday to make three dozen sugar cookies for the girl scouts, do you? So you just say no and you’re not even lying. And don’t forget to make some of that time *just* for you. We aren’t just saying no to the PTA, ladies. We can totally say no to the kids, the husband, the mother-in-law, on occasion. It’s totally fine. When else are you ever going to take a bubble bath if you keep saying YES to everything? We need bubble baths, ok? It’s in our DNA. Speaking of bubble baths. 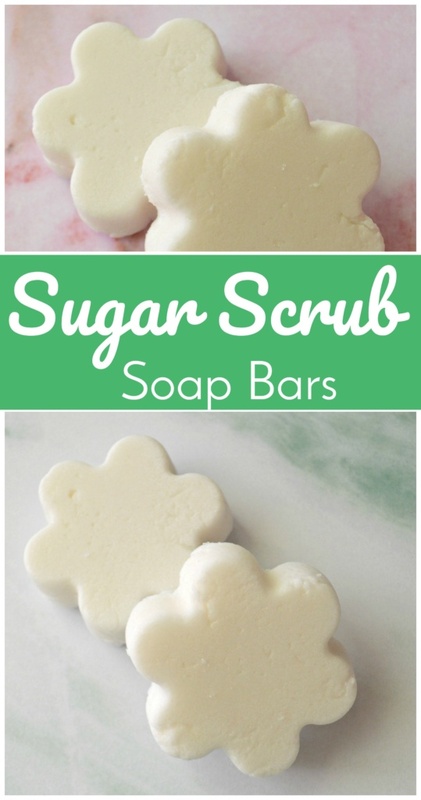 Make some time to throw one of these DYI bath products together for yourself! Put that in the schedule, too! It’s hard to admit to anyone that you can’t do something because you can’t afford it. No one really wants to say “I’m sorry, I can’t afford that”. But not having enough money is a legitimate reason to say no to a request. And it’s not something you have to be embarrassed by. So here’s what you do. You say, “I’m sorry that’s not something I’ve budgeted for this week”. You know why you say that? Two reasons. 1. It makes you look smart and capable of creating and sticking to a budget. This may lead to you being asked to be the PTA treasurer, fair warning. 2. It’s a strong reminder to the person asking that it’s not appropriate to always be asking for money. My daughter goes to a private school and even in addition to our tuition, we are asked to pay for additional little things on an almost weekly basis. And it’s stuff for my own kid, so it’s very difficult to say no. Now, the private school is full of all different kids from all different economic backgrounds. But, there’s definitely a few RICH kids. And I get that it’s awkward to admit you don’t have another $10 to spare. But, to be honest, I think that you win people over when you’re dead honest (within reason. Don’t get around telling people their breath smells or they have a big nose. That doesn’t work in this example). I swear if you’re the mom who pipes up and says, “Not this week, but let me know next week and I’ll add it to my budget”, there is going to be another mom who comes over to you at the end of the meeting who says, THANK YOU for saying that! Cause even the rich parents are tired of shelling out money. Mom guilt is a real thing, but if we banned together, we can all become better moms! I love this post about just that from Amber at The Simple Practical Life. Ok, saying no to someone because you aren’t interested in whatever they are asking is super awkward. We’re not going to get around this here. We’re going to embrace the awkward on this one. OR, we might fudge things a little. You’re going to need to know your audience on this one, ok? When someone wants you to do something you are totally uninterested in, you might need to go bold. Here’s the thing. I have friends that i can say this to: You want me to go to the mall on a Saturday night with you? Are you out of your ever loving mind? The crowds? The noise? Do you even know me? I have people in my life that I can say that to and they will be like, “Oh, right, you hate that, don’t you?”. And we carry on with our lives. If you’ve got people in your life that you love and are close to and you are doing things with them that you really HATE you should either tell them you don’t want to do those things anymore, OR, if you’re a seriously good person, keep doing them out of the kindness of your heart because you’re a good person. But for the LOVE of god, don’t keep doing those things with that person because you think they will be upset with you if you don’t. That’s childish and also presumes that your friend is a crappy enough person to not care that you are doing things that you don’t want to do just to not ruffle their feathers. The other move here is a little bit like a lie. I mean, it’s right on the border of being a lie. You only use this with the people that your are sort of acquainted with but that you don’t LOVE. Like, this is not your husband/mom/best friend, ok? 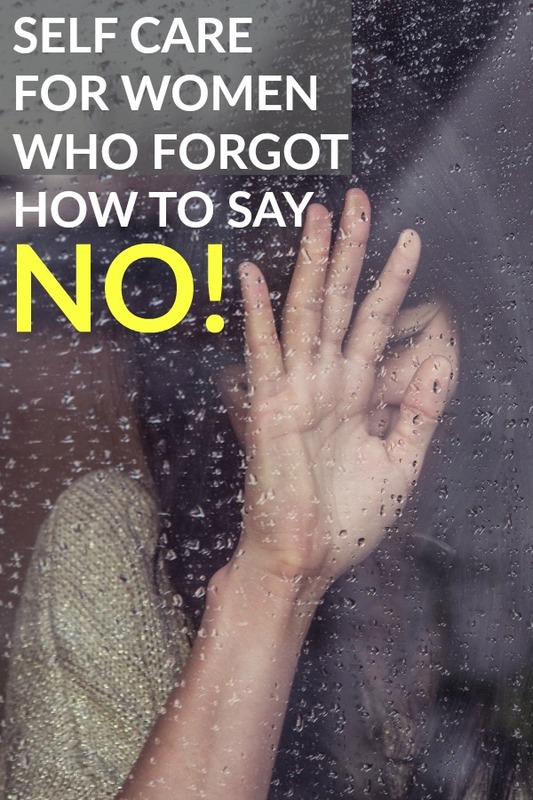 In this instance, we are going to revert back to the first two reasons we used to say no. We either are going to be too busy to go to the horrible mall on Saturday night, OR, we are going to say that we don’t have any cash to spend at the mall and we don’t want to be tempted to pull out the credit card. Now, here’s the thing with this. One of those excuses better be close to true. And you better be using one these excuses because you don’t like the proposed activity, and not because you don’t like the person who is proposing the activity. If you are avoiding something because of the *person*, then you need to be an adult and not really make up an excuse. You just need to say, “No, thank you, I appreciate the offer and I hope you’ll have fun!” It’s not fair to yourself or the other person if you don’t make this boundary as crystal clear as you can without hurting the other person’s feelings too much. Why Do We Even Have to Say No? I know these things that I have proposed are not common practice. And I have had some awkward moments with them. However, there is a very important consequence when we say no. Our daughters hear us say no. Maybe it’s just saying no to baking cookies, but the more we sneak that word into our everyday vernacular, the more comfortable our daughters will become with it. They will most definitely model our behavior and say no more often. If we start saying no on some of these small things, setting our boundaries with friends and family and even acquaintances and strangers, then our daughters will, too. They will say no on the small things, like, No I don’t want to play dolls, I want to play Legos. And the more they do that, they more comfortable they will be when they want to say no to the big things. And that is why Moms need to say No.